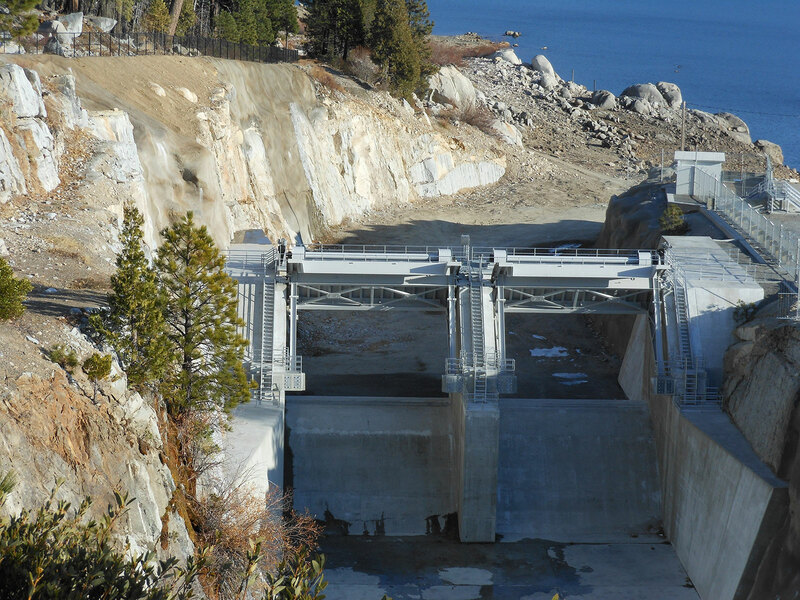 MWH Constructors was contracted to perform construction management for this dam project for the US Army Corps of Engineers, in partnership with MWH engineering’s design services. The 231-ft-high dam forms the 136,000 acre-ft French Meadows Reservoir and is part of the Middle Fork American River Project. The dam was modified to bring it into compliance with current standards, which mandated that its spillway must pass the recently increased probable maximum flood in order to eliminate the possibility of overtopping failure of the dam. The project included many sensitive environmental constraints and accessibility challenges due to its remote location and severe weather impacts. Onsite aggregate and concrete production were among the innovative methods employed to complete the project on schedule and under budget. $4.3 million in civil works design and construction management for dam project in USACE SPD area. Provided hydraulic engineering expertise to focus and optimize spillway widening design efforts. Utilized cutting edge digital photogrammetry techniques to efficiently map and evaluate spillway channel rock slopes. Optimized channel widening design to eliminate benches in rock wall, saving approximately $900,000. MWH Constructors construction cost estimate was within less than 1% of the successful bid. Provided increased safety while continuing to bring clean water and sustainable power to the region’s residents. Reduced the risk of catastrophic flooding. Included improvements such as fencing to prevent public access to dangerous drop-offs in and around the spillway channel. In addition to a new parapet wall on the upstream portion of the dam crest, a new guardrail was installed along the downstream side of the dam crest roadway, providing an upgraded roadway past the spillway structure and across the dam crest. Gates were added to the access roads in and around the dam and spillway site, restricting public access to areas potentially dangerous to those unfamiliar with the site.